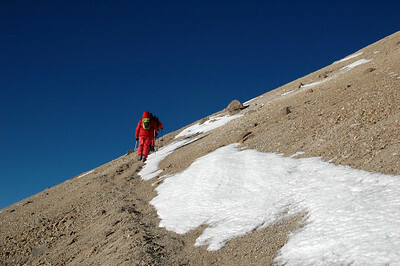 Climbing El Chachani near Ariquipa, Peru. 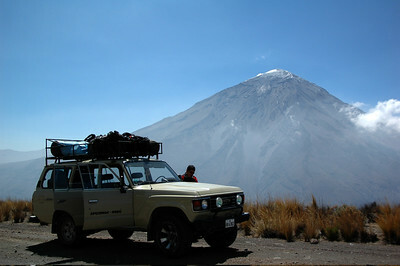 CHACHANI, PERU: One of our stops on the road up to Chachani with a view of El Misti. 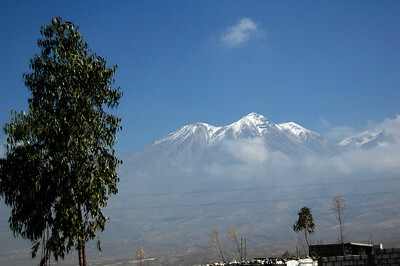 CHACHANI, PERU: The view from Arequipa as we drive up to Chachani for the climb. 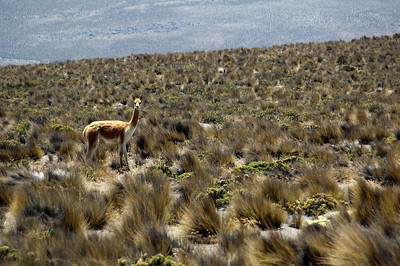 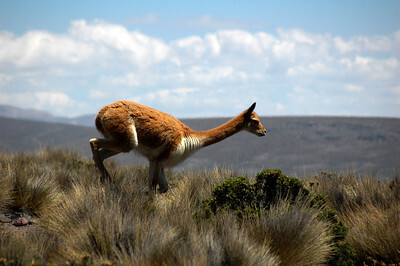 CHACHANI, PERU: The only wildlife of the trip a heard of guanaco (Lama guanicoe) as we cross the 4,000m mark. 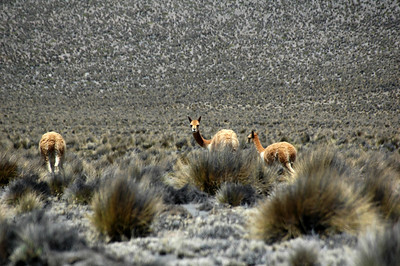 CHACHANI, PERU: El Misti and a heard of guanaco (Lama guanicoe) as we cross the 4,000m mark. 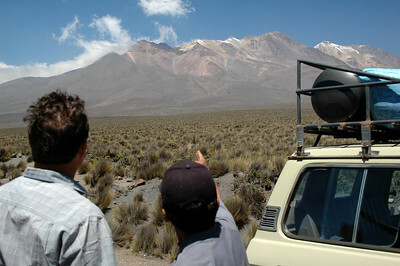 CHACHANI, PERU: Jose, our guide points out where we're heading to on Chachani. 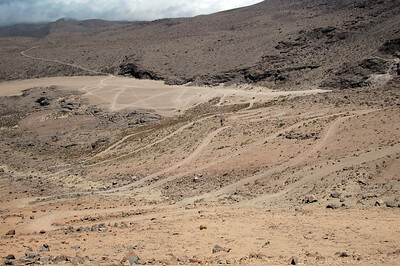 CHACHANI, PERU: The road we drove up. 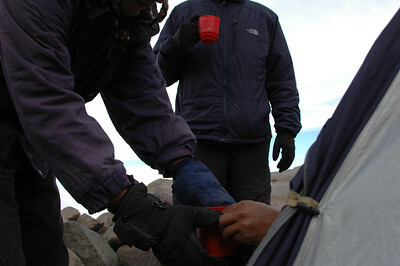 CHACHANI, PERU: A post-dinner cup of coca tea before heading to bed in the afternoon to be rested to wake at 1am to start climbing. 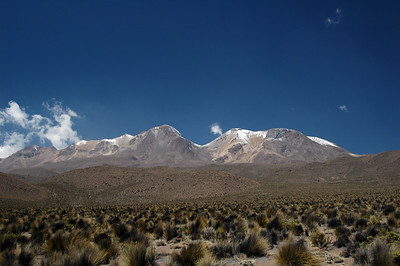 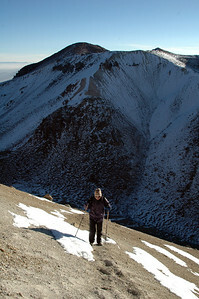 Climbing El Chachani (6,075m/19,983ft) in Southern Peru, near Arequipa. 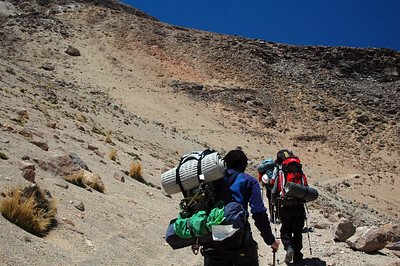 Cameron, Andreas, Francisco, Christoph & Jose the guide. 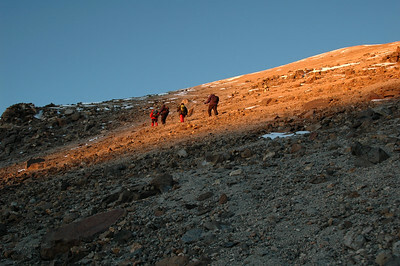 CHACHANI, PERU: 6am, 5,500m, the first light to reach us after a 2am start. 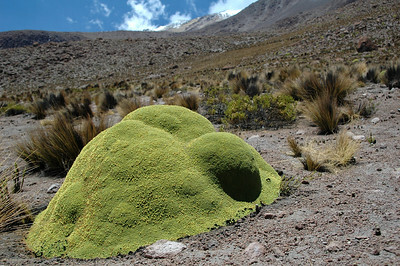 CHACHANI, PERU: A peculiar moss covered rock among the arid grass and shrubs on the slope of Chachani around 4,800m. 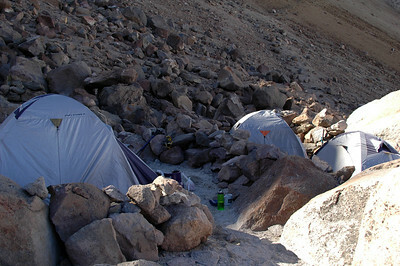 CHACHANI, PERU: Our dropoff. 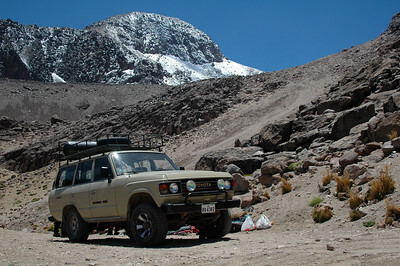 At 4,800m we pull our gear off the Land Cruiser and get ready to start walking to base camp. 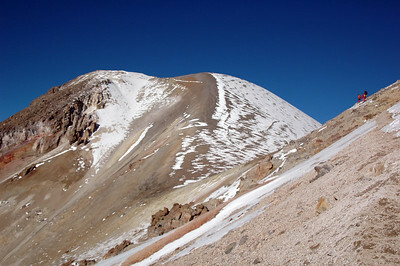 A mere 1.5 hours away and 300m of vertical gain. 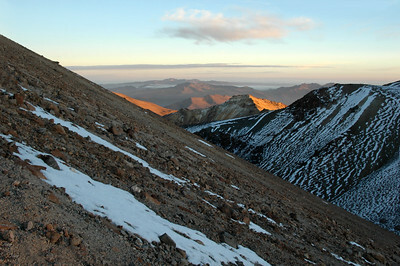 CHACHANI, PERU: View from the slope of the range collecting the morning sunbeams. 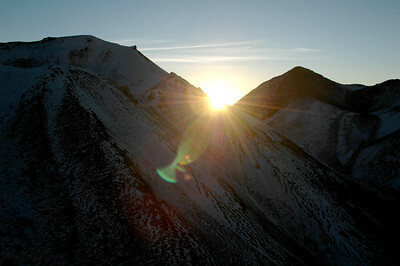 CHACHANI, PERU: Sunrise from behind El Angel as we work our way up the slope of Fatima before reaching Chachani proper. 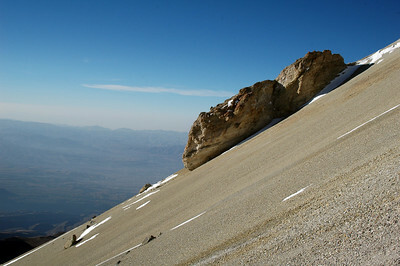 CHACHANI, PERU: Pushing up the sulfuric section of the face of Fatima at 5,700m. 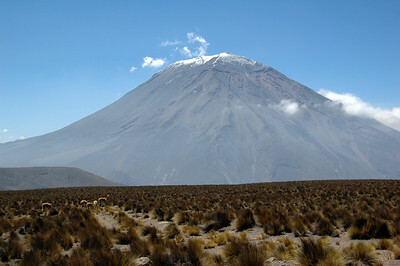 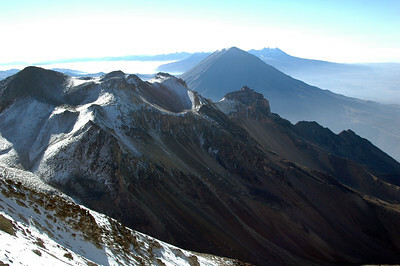 CHACHANI, PERU: Rounding the face of Fatima, the Chachani summit comes into view. 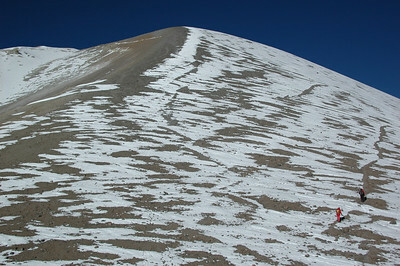 CHACHANI, PERU: The last major slope as we tackle the face of Chachani. 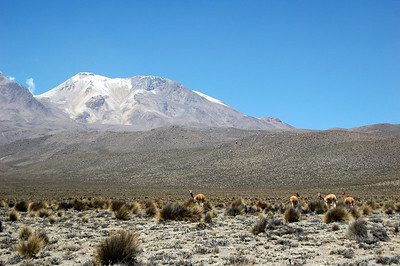 CHACHANI, PERU: Looking back across the range from 5,800m - including El Misti.